This guide is available to download as a free PDF. Download The Complete Windows Network Troubleshooting Guide now. Feel free to copy and share this with your friends and family. Here’s what your network setup may look like. The above diagrams are basic representations of what a typical home network consists of. There are typically two cases. The first case is a central device acting as the modem, router, switch and wireless access point. The second diagram shows another case, where the roles are split into multiple devices. Each method has pros and cons. Having a single device is much easier to set up, but there is a single point of failure. Having different devices is the method most larger companies choose. While setup can get extremely complicated, it’s far more scalable. Let’s take a look at some of the services that a network requires to function. An IP address is an identifying number for a piece of network hardware. Having an IP address allows a device to communicate with other devices over an IP-based network like the internet. Each device on a network must have a unique IP. A hostname should be more human readable. All devices on your network should also have a unique hostname. 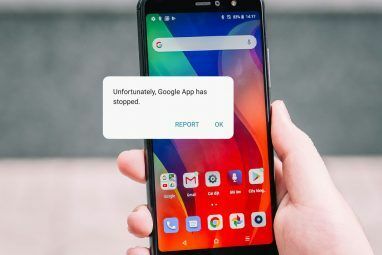 Having multiples devices on your network with the same hostname can cause a network malfunction. You can view your computer’s hostname by right-clicking on My Computer / This PC > Properties. Clicking on the Change Settings link, will allow you to set a custom name for your PC. Just ensure all devices on your home network have a unique name and IP address and you should be golden. The Dynamic Host Configuration Protocol (DHCP) is a protocol where some network information is exchanged between a client and a server. In a home network, this is a role that is covered by the router. In a home network always ensure that there is only one DHCP server. DHCP provides information such as IP address, Subnet Mask, Gateway and Domain Name Service (DNS). WinKey + R on your keyboard. Or you could open the start menu and type Run. Now enter control in the Run Command box followed by the Return key. All other devices on your network will only have the last number incremented. Our example diagram has the router at the address 10.0.0.1 and the other devices starting at 10.0.0.20. It is a good idea to reserve a few IP addresses for devices you would like to assign static IPs to. These can include the router, some servers, or even certain workstations. If everything was addressed by their IP address, life would be challenging. Is it easier to remember 216.58.212.78 or Google.com? A DNS server 5 Nifty Ways to Use DNS to Your Advantage 5 Nifty Ways to Use DNS to Your Advantage One of the most underappreciated parts of the internet is the Domain Name System. DNS is often referred to as the phonebook of the internet, but it is far more than just a lookup service. Read More is the device that translates the www.google.com you type in your browser to the 216.58.212.78 IP address that it really is. You can try this by typing the IP address in your browser window, and Google should pop up! In a home network, your router acts as a DNS server, translating hostnames to IP addresses. If you need to access another device on your network, your router has a database of everyone that is on the network and will translate a computer’s hostname to an IP. If you need to access a device on the internet, your router will forward the request to another DNS server on the internet and send the reply to the device that requested it. In most cases, two DNS servers, a primary and a secondary server, are automatically configured on your router and/or computer when connecting to your Internet Service Provider (ISP) via DHCP. You can configure two DNS servers in case one of them happens to fail, after which the device will resort to using the secondary server. While many DNS servers are operated by ISPs and intended to be used only by their customers, several public-access ones are also available. Generally speaking, your primary DNS server should be your router. Megabits Per Second (Mbps) is not the same as Megabytes Per Second (MBps). It takes 8 Megabits to equal 1 Megabyte. You will generally see Mbps when network speed is being referenced, and MBps indicates the amount of file data transferred per second. When an ISP advertises network speed Stop Your ISP From Snooping on Your Web Data for Free With Opera Stop Your ISP From Snooping on Your Web Data for Free With Opera The best way to circumvent the snooping of ISPs on your web data is to use a protected VPN, but if you need a no-hassle alternative, you can get by with the Opera browser. Read More , it’s always in Megabits. This might be slightly confusing so let’s take an example. If you want to download a short video, and the file size is 10 MB (Megabytes). Your internet connection gives you download speeds up to 16 Mbps. First, convert your Mbps into MBps by dividing 16 by 8 which equals 2MBps. Now divide the file size (10MB) by your MBps (2) to get the amount of time it will take to download the file. 10MB / 2MBps = 5 seconds. It will take approximately 5 seconds to download your 10MB file with an internet connection of 16Mbps. Wired networks have been around since the 1980s. They are currently faster, more stable and less susceptible to attacks compared to wireless networks. Some notation for wired networks you will come across are 10/100/1000, and 10 GbE. 10/100/1000 means that device can support 10Mbps, 100Mbps or 1,000Mbps. 10 GbE just means 10 Gigabit Ethernet. The vast majority of consumer devices will come standard with 1 GbE How The Future Gigabit Internet Is Likely To Play Out How The Future Gigabit Internet Is Likely To Play Out A spider web of cables, satellites, data centers, switches, and routing systems connect the world. Now we're headed toward a gigabit Internet where all that data will be moving that much faster. Read More . For now, this is sufficient as 10 GbE is relatively much more expensive. This is guaranteed to change shortly as our data demands and internet speeds increase over time. As technology is adopted by the wider market, it also becomes cheaper to manufacture. You can view what network adapter your computer has from the Windows Device Manager window. In the Run Command dialog box type devmgmt.msc followed by the return key. If you expand the Network adapters, you should see what Network Interface Card (NIC) your computer is sporting. To see what your network speed is you can go to Control Panel > Network And Sharing Centre > [Connection]. The best practice in a home network setup is to have all your wired devices connected to the same network switch to avoid any bottlenecks when communicating with each other. Wireless networks are the most convenient but are slightly more complex to configure and manage. They are also susceptible to interference from other wireless radios and other electrical and electronic hardware. Wireless networking can be a little tricky to understand, but we can try to demystify it’s terrible naming conventions. Wireless Fidelity (Wi-Fi) is governed by a set of standards which you will commonly see as 802.11g, 802.11n, and 802.11ac or something similar. The character on the end will indicate the theoretical max speed. The problem is is that these theoretical speeds are nonsense, and in real-world scenarios, you never get close to the theoretical speeds. One of the contributing factors in never reaching the theoretical speeds is the antennas. 802.11ac can support up to eight antennas each running at over 400Mbps each. You may have seen some of these routers that resemble Lord Sauron himself such as the ASUS ROG GT-AC5300. While such devices adorn eight antennas, the device being used to connect to them will almost certainly not have that many. Your typical smart device may only have two or three antennas which makes it a bottleneck for the theoretical speed. 802.11ac only works on the 5GHz frequency while 802.11n supports both 5GHz and 2.4GHz. The key difference between the two frequencies is coverage versus bandwidth. 2.4GHz is much more capable at long range but cannot compete with the speed of the 5GHz network. When you first received your wireless router, chances have you probably changed the administrator login password and chose a cool name for your Wi-Fi. The other settings may have been ignored in the overly complicated dashboard. It’s probably best not to try and tweak every little setting like a mad scientist, but there are a few settings that could enhance your Wi-Fi experience. Regarding security, I strongly recommend using the WPA2/PSK mode and choosing AES as the encryption. Other options are just less secure. Under no circumstances should WEP be used as it can be easily hacked by a malintentioned individual armed with a laptop lurking outside your house. Next, you should choose a channel. A channel is simply a slice of the 2.4GHz or 5GHz band that your router is broadcasting on. Most modern day routers will choose a channel automatically. If you are getting slower than expected speeds, a congested channel may be the culprit, especially if you live in an apartment complex with lots of other Wi-Fi routers in the area. You can grab the WiFi Analyzer app from the Microsoft Store, which will turn your PC into a wireless scanner. It will show you which channels are congested and even make a recommendation on which one to choose for best performance. Lastly, ensure that the correct Wi-Fi standard is chosen. Most modern-day devices support 802.11n and 802.11ac, so ensure those are selected. If however, you have a legacy device, such as a Nintendo 3Ds that is not detecting your Wi-Fi, you may have to enable 802.11g. If your router supports an option for a guest Wi-Fi network, it would be a great idea to enable it. Guest Wi-Fi networks can have different passwords, so you don’t have to share your main Wi-Fi network password. The best part is that any device connected to the guest network will not have access to local computers or files on the main network. Your router treats the guest network as a completely different LAN. You may even have options for throttling or setting limits on clients connected to the guest network, to ensure your friends are not hogging your lovely internet. At a glance, these are some of the settings you could tweak. Overall, it would be a good idea to make a small change, then run a speed test to see how that has affected your Wi-Fi. Then try the same speed test in a different part of your house. If you’re unsatisfied, make another single change, then run your speed tests again. Making too many changes at once may lead to being unable to isolate the problem area. There is a lot going on when it comes to networking. The above is by no means exhaustive, but it should be enough to give you an understanding of what’s happening under the hood. The above diagram shows a flow example of how some of these services fit together. Your computer gets a network connection and starts looking for a device that is a DHCP server. The DHCP server will check that it has a free IP address and lease one to the client. A user will type in a web address like Google.com in a browser window. This address needs to be converted into an IP address that computers can understand; this is done via a DNS server. Once the DNS is resolved, the web page can be found, and a connection is opened up between the user’s computer and the web server hosting the web page. If your network is quite complex, it may be a good idea to have it drawn out, to help troubleshoot any issues. There’s a great tool over at draw.io that makes drawing anything technical super simple. It’s also completely free! Everything is entirely drag-and-drop, and the user interface is about as simple as it gets. Enter something you’d like in the search box and hit return. Once, you’ve found an item that you like, just drag and drop it onto the canvas. From there you can join items and just double-click either on them or on the canvas to name them. Our diagrams in this article were done entirely on draw.io and can be very helpful even when planning out a new network or finding potential problems in an existing one. Have you come across the principle of Occam’s Razor? In a nutshell, it states that the simplest answer, or the one with the least assumptions, is usually the correct one. This is often the case when looking at problems, especially when it comes to technology. When diagnosing network issues, it is extremely rare for the problem to be a hardware one. It’s not unheard of, but NICs, switches, and routers are much less likely to be the problem relative to some silly software setting. Once you’ve drawn out your network, and applied some of the recommendations above, it will be easy to get to the bottom of any network issues you may have. The best way of going about networking issues is using the process of elimination. As mentioned above, making too many changes at once can make diagnosing a problem much more difficult. You can use this guide as a top-down approach. The guide starts with suggestions on what to try first before moving to the next step. If at some point you notice the behavior is unexpected, there is a possibility that your problem is at that point. Bearing these principles in mind let’s get to the bottom of it! Oh no! That fateful day where you open a browser window and nothing loads. If you’re the IT person in the family, this is sometimes followed by “Sam! The Wi-Fi isn’t working!” or some similar bellowing. Now, before things begin to get a little heated, there is a good chance you can solve this in a few seconds. Restart the router and or modem. Disable and enable the network adapter. Try a different browser. If you’re using Google Chrome, try Microsoft Edge. Try a different device that is on the same network. So if your device that can’t connect is wired, try another device that is on the wired network. Check your area’s network status. Try using a device that is on a different network. So if your device that can’t connect is wired, try using a device that is on the wireless network. To disable and enable an adapter go to Control Panel > Network and Sharing Center > Change adapter settings. Right-click on your network connection and select Disable. The adapter will turn grey, and after a few seconds, you can right-click on the device and select Enable. As you can see, using the process of elimination, you can quickly get to the bottom of where the problem may lie. Restarting your devices will in most cases solve the issues. If a different website works, the website you initially tried to load may be down. If a different browser works, your initial browser may need its cache and residual files to be cleared How to Manually & Automatically Clear Your Browser History How to Manually & Automatically Clear Your Browser History The websites you visit leave tracks on your computer. We show you how to delete your browsing history in Firefox, Chrome, Edge, and Internet Explorer. Read More . This can be done in Chrome by going to Settings > More Tools > Clear browsing data. In the dialog box that pops us, select All time from the Time range selection. Under the Advanced tab select Hosted app data, and finally, click the Clear Data button. This will require you to sign in to any websites you were previously signed into and clear your browsing history. Ensure that any sites you need to refer back to are bookmarked. Depending on where you live and who your ISP is this is generally uncommon but not unheard of. There is a website which has an awesome community that reports if there is a fault with common internet services, namely Downdetector. Using Downdetector, you can check the status of your ISP network according to what other people are reporting. If you see that many people are reporting an issue, there might be a problem with your ISP. You can also use the Live Outage Map to make sure whether or not your specific area is affected. If you still suspect an area outage, you could check with your neighbors and finally call your ISP to make sure everything is dandy in your area. Can you ping a website? By default, your ISP will assign you a primary and a secondary DNS server. Your computer or smart device may only show the router being the primary device, but your router is just acting as an intermediary or a forwarder. Changing the default assignment actually might have some benefits. These benefits may include better security and a faster browsing experience. 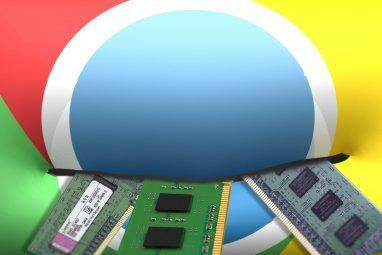 Google’s public DNS servers can be a viable option on which DNS server you should use. The above will first clear your cached DNS entries, then release and renew your IP settings. Roll back the network adapter driver. Temporarily turn off anti-virus or anti-malware software. Uninstall the network adapter driver. An outdated or incompatible network adapter driver can cause connection problems. If you recently upgraded to Windows 10, it’s possible that the current driver was designed for a previous version of Windows. You can find all your PC components drivers under the Device Manager. There’s a shortcut on how to get there in the Wired section above. Right-click on the network adapter and select Update driver and select Search automatically for updated driver software. While you may not have an internet connection, Windows may have a local updated driver. Restart your PC and check your network. You can also go to your PC or motherboard manufacturers website and get the latest version of the driver. You will need another computer to do so and a USB drive to transfer the driver to your problem PC for installation. It’s possible a newly installed network driver is causing an issue, so you can roll the driver back Take Back Control Over Driver Updates in Windows 10 Take Back Control Over Driver Updates in Windows 10 A bad Windows driver can ruin your day. In Windows 10, Windows Update automatically updates hardware drivers. If you suffer the consequences, let us show you how to roll back your driver and block future... Read More . In Device Manager, right-click the adapter and click on Properties. Under the Driver tab, look for the Roll Back Driver button. If the button is greyed out, there is no driver to roll back to. 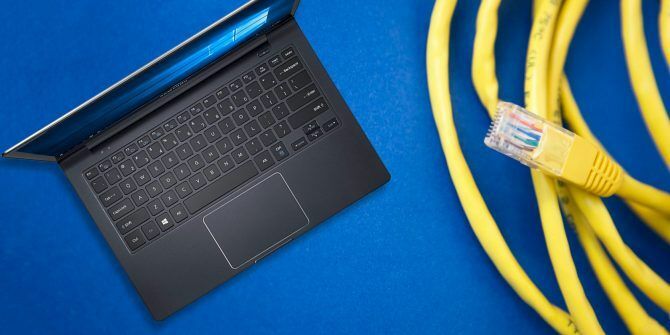 If you can click it, follow the steps and restart your PC, then check your network connection. Sometimes, firewall software might prevent you from getting connected. You can see if the connection issue is caused by a firewall by turning it off temporarily and then trying to visit a website you trust. The steps to turn off a firewall depend on the firewall software you’re using. Check the documentation for your firewall software to learn how to turn it off. While disabling your firewall makes your PC vulnerable, doing it temporarily and visiting a site you trust should be okay. Make sure you turn it back on as soon as possible. To turn the windows firewall off, search for Command prompt in the Start Menu, right-click it and select Run as administrator followed by Yes. If you find the firewall software is causing the connection issues, contact the software vendor or visit their website to check and see if updated software is available. You could also check your firewall rules to make sure there is nothing blocking your network connection in there. It’s also possible that antivirus or anti-malware software is the root of your problem. Typically, you could pause protection by right-clicking the icon in the Taskbar and selecting Disable. In Windows 10, you could check what security software you have installed. Type system and security in the Start Menu and select Review your computer’s status and resolve issues. Under the Security section, look for any third-party security software that’s installed. If the previous steps didn’t work, try uninstalling the network adapter driver, and then restart your computer and have Windows automatically install the latest driver How to Easily Remove Old Drivers From Windows How to Easily Remove Old Drivers From Windows Not only does Windows retain previous driver versions for current devices, it also stores drivers for devices you stopped using long ago. We'll show you how to clean up old drivers from your system. Read More . Consider this approach if your network connection stopped working properly after a recent update. To be safe, ensure you have drivers available as a backup. Visit the PC manufacturer’s website and download the latest network adapter driver from there. You may have to do this on another PC and copy it to USB drive. Right-click your adapter in the Device Manager and select Uninstall device. If there is a checkbox which shows Delete the driver software for this device select it and click Uninstall. Now restart your computer. This option removes any network adapters you have installed and the settings for them. After your PC restarts, any network adapters are reinstalled, and the settings for them are set to the defaults. Select the Start button, then select Settings > Network & internet > Status > Network reset. On the Network reset screen, select Reset now > Yes to confirm. Wait for your PC to restart and see if that fixes the problem. Network reset might set each one of your known network connections to a public network profile. In a public network profile, your PC is not discoverable to other PCs and devices on the network. However, if your PC is part of a homegroup or used for file or printer sharing, you’ll need to make your PC discoverable again by setting it to use a private network profile. This can be done from the same menu. Depending on the type of network connection that you use. Ethernet will show you your current network connection which can be either your LAN cable connection or your Wi-Fi connection. Click on the connection name on the right under Ethernet. It should be the name of your LAN or Wi-Fi network. Check the switch Find devices and content. If your problem device is on a wired ethernet connection and another device that is also on a wired connection works, you’ve narrowed it down to the wired connection being a problem. Always start with the simplest solution first. After going through the basic, intermediate and advanced diagnosis above, start by eliminating possibilities. If your device is connected first to a switch, which is in turn connected to the router, try connecting your problem device directly to the router. You should now have the shortest path between your problem device and the internet. Device > Router / Modem > Internet. Use a different ethernet cable that you know is working. Try a USB to ethernet adapter. Try a different ethernet port on your router. Reset your router to factory settings. Try a different modem/router that you know is working. IP address: an IP with the same first three numbers as your router, followed by an arbitrarily number that is unlikely to be used by another device on your network. This must be between 0 and 255. If at this point your internet starts working there may be an issue with your DHCP server as it is not issuing the correct IP settings. The final steps will be testing the hardware to find the fault. You can grab a USB to ethernet adapter which is relatively inexpensive. If that works, your PC’s ethernet adapter may be faulty. If your PC’s ethernet adapter is onboard, that might raise concerns for the health of your motherboard. Getting your hands on another modem/router might be slightly tricky. Your ISP may require a specific modem, but you will be spoilt for choice when it comes to a router. Try and borrow one temporarily and swap yours out to see if it makes a difference. Resetting your router 6 Reasons You Should Replace Your ISP's Router 6 Reasons You Should Replace Your ISP's Router Your ISP sent you a router when you signed up, and it works fine. But is it giving you the best speeds possible? Is it even possible to change it? Read More to its factory settings needs some consideration. Note that your Wi-Fi, DHCP, and other settings will all be back to their default settings. This might be a good thing. It’s possible one of the settings you’ve tweaked has caused your network to be malfunctioning. The method of resetting your router will depend on the model and manufacturer. In general, there will be a little reset button on the back that needs to be pressed using a pin. Refer to your manufacturers manual for further information. Some routers will allow a backup and restore of settings, but doing so might restore a setting that’s causing your network woes! Wi-Fi can be tricky to troubleshoot Got a Windows 10 Wi-Fi Problem? Here's How to Fix It Got a Windows 10 Wi-Fi Problem? Here's How to Fix It Do you have issues with your Wi-Fi connection? It may be a Windows issue. We'll show you how to fix common Wi-Fi and network problems on Windows 10. Read More because of the added variables in the equation. You have to eliminate interference from other devices, and there are more settings to take into account. After you’ve configured your Wi-Fi with some of the suggestions above, and gone through the basic, intermediate and advanced diagnosis, we can start our elimination process. To eliminate interference issues sit as close as possible to the access point/router. If your internet works when you’re close to your router but doesn’t when you’re far away, you may want to consider extending your wifi network. Forget and reconnect to your network. Try a different Wi-Fi network. 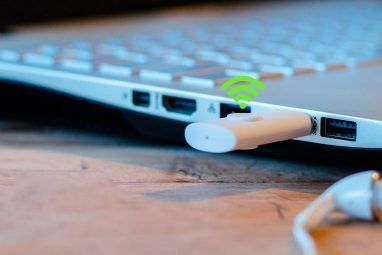 Try a USB Wi-Fi Adapter. To forget your Wi-Fi network go to Control Panel > Network and Sharing Center and click Manage wireless networks. Right-click the connection you’d like to forget and click Remove network. You can try reconnecting to the removed network as normal. Setting a static IP is the same as it’s done on wired. To quickly try another Wi-Fi network, use your smart device as a hotspot. USB Wi-Fi adapters are also quite inexpensive. Are Your Network Issues Resolved? We’ve summarized all the steps in this interactive checklist which you can use on your PC or print out and step through. Remember our methodology on trying the simplest solutions before moving on to more advanced steps. What is your ideal network setup? How often do you have troublesome network issues? Let us know in the comments below. Explore more about: Computer Networks, Longform Guide, Troubleshooting. Hi Ian! Glad you liked the article. All of our Complete Guides are available as a download. There is a link under the first paragraph which should allow you to do so. For this article specifically there is a handy checklist that is in the last paragraph which you can download and use as well. - Use the Windows Task Manager and see if your browser is burning all the CPU it can (that might be 50%, 25%, or 13%, if your PC has 2, 4, or 8 cores), and decide whether to wait for it to finish doing what it's doing, or else kill and restart the browser. - On a laptop, put the machine in sleep mode and wake it back up - that doesn't kill all the things that rebooting the machine does, but it's often enough. - If those don't work, then enable/disable the adapter. - Then you can try rebooting the machine. - Then the more complicated stuff you mentioned.